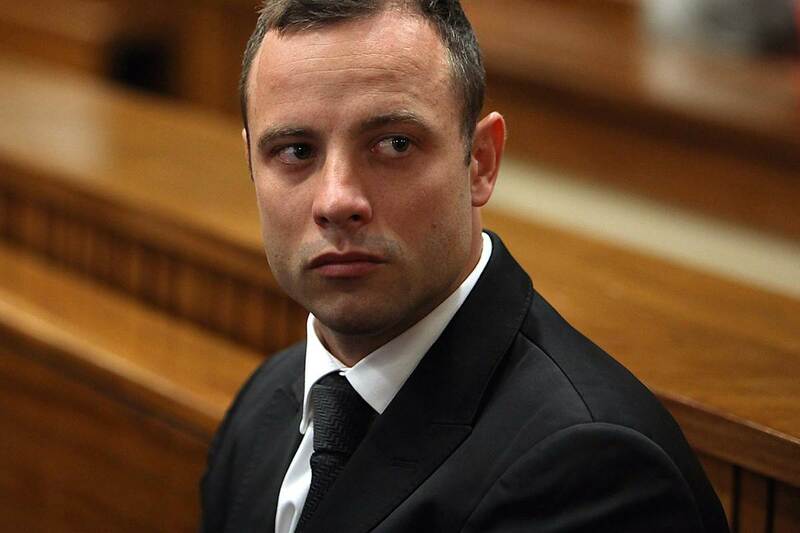 Oscar Pistorius has today been sentenced to six years in jail for the murder of his girlfriend Reeva Steenkamp. The Olympic and Paralympic icon repeatedly shot the 29-year-old model after she barricaded herself in the bathroom of his home in Pretoria on February 2013. 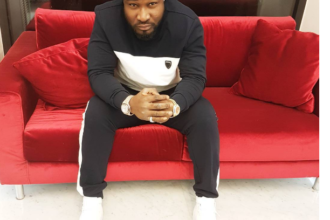 He was sentenced at North Gauteng High Court this morning to gasps in the courtroom as the sentence – far below the recommended 15-year jail term – was read out. Pistorius sat in the courtroom with his head bowed ahead of sentencing and at times sobbed quietly in the dock before the six-year sentence was delivered. Judge Thokozile Masipa described Pistorius as a “fallen hero and broken man” who is suffering from depression and post-traumatic stress disorder. Here, Mirror Online looks back at how a man who once inspired millions triggered his own spectacular fall from grace. Back in 2012, nothing could go wrong for Pistorius. The sprint runner – who had both his legs amputated below the knee when he was a baby – had already overcome huge obstacles in his life to become a Paralympic champion. But, determined and ambitious, he did not stop there. The South African wanted to race against able-bodied athletes at London 2012. After overcoming objections from the governing body for athletics, as well as other athletes, Pistorius became the first double leg amputee to take part in the Olympics with other able-bodied athletes. Not content with that, he also won two gold medals in the Paralympics, setting two world records in the process. He was an international star, inspiring millions around the world and with a long career ahead of him. Away from the athletics track, Pistorius had formed a close relationship with South African model Reeva Steenkamp. The couple were first spotted together at a sports awards event in November 2012. Friends described it as a “healthy, fabulous relationship”. Ms Steenkamp was a celebrity in South Africa and had been named as one of the 100 sexiest women in the world by men’s magazine FHM. She was also incredibly smart, graduating in law from the Nelson Mandela Metropolitan University in Port Elizabeth. The 29-year-old was signed up to appear in a celebrity TV reality show called Tropika Island of Treasure. The pair looked set to become one of South Africa’s most famous couples. South Africa and the rest of the world were left stunned when Ms Steenkamp was shot and killed by Pistorius on Valentine’s Day in 2013. The model was in the bathroom of the athlete’s £265,000 house on the outskirts of Pretoria when he fired four shots through the door. Neighbours in the upmarket Silver Lakes gated community told police they had heard shouting and screaming earlier in the night. Police also revealed they had been called to the house on previous occasions after reports of “a domestic nature”. In the hours that followed, Pistorius was arrested and charged with murdering his girlfriend. He was described as being distraught over Ms Steenkamp’s death. “We can’t comment on his emotional wellbeing, but he is traumatised after losing someone close to him,” a police spokesman said. Pistorius denied murdering his girlfriend, telling police he thought she was a burglar in his home. And so on March 3, 2014, Pistorius took to the dock on the opening day of one of the most high profile trials of modern times. Media from around the world descended on the courtroom. The judge also decided that parts of the trial could be broadcast live on television. Pistorius told the court through his lawyer that he thought Steenkamp was in bed when he shot four times through the toilet door, acting in self-defence. The court was told the Paralympian thought his life was in danger when he killed Reeva. But feared prosecutor Gerrie Nel said Pistorius had told “snowball of lies” and demanded he face the “consequences”. He told the court: “He knew there was a human being in the toilet. On September 12, 2014, Judge Masipa reached her long-awaited verdict. She dismissed the prosecution case that Pistorius murdered his girlfriend. Instead, she found him guilty of culpable homicide – a charge similar to manslaughter. On October 21, 2014, she sent Pistorius to jail for five years – despite the prosecution arguing he should be locked up for ten years. Pistorius appeared to wipe away a tear as the sentence was handed out as Judge Masipa said: “For a very good reason a sentence should neither be too light, nor too severe…..
Pistorius was sent to Kgosi Mampura 11 prison in Pretoria. The Paralympian struggled to adapt to prison life, being forced to spend 23 hours a day in his tiny cell. He was placed in the hospital wing of the prison and given his own cell. This helped ensure he was not targeted by other prisoners. Prison officer Violet Ngobeni met with Pistorius on a number of times. “When he arrived he was angry,” Ngobeni told CNN. However, his mood eventually lifted and he spoke about wanting to spend time with his family.